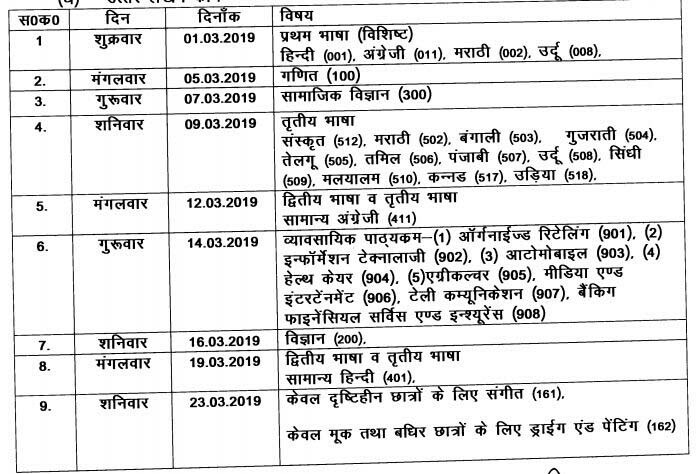 Chhattisgarh 10th Class Exam Time Table 2019, CG Board 10th Class (Secondary) X Class March 2019 Examination Time Table download from cgbse.nic.in website. 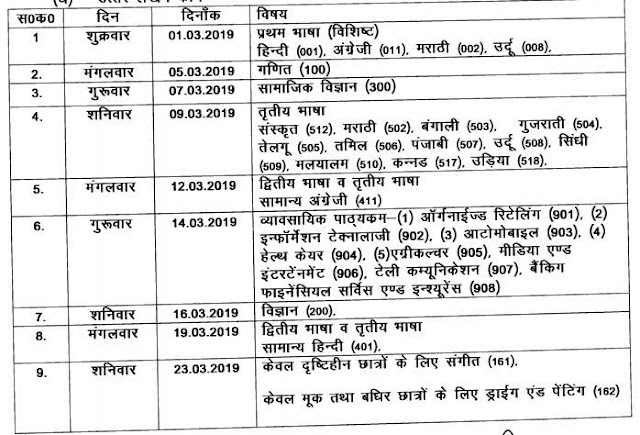 Chhattisgarh Board of Secondary Education conducting Secondary Class X/10th Examinations from 01st March 2019 to 23rd March 2019. The CGBSE 10th Class examinations starts with First Language Paper on 1st March 2019 and Ends with Music Paper on 23rd March 2019. The students can download their examination time table, hall tickets from the official website of cgbse.